The results are in, and VMRO has beaten back yet another ‘soft coup’ attempt in the Republic of Macedonia. Although there were very legitimate fears that SDSM and its foreign backers might resort to large-scale voter fraud and other such tricks in order to tip the scales in their favor, this was averted because of the due diligence of the country’s patriotic civil society. Macedonian journalists descended on Tearce and their presence served as a deterrent to the illegal activity that was planned. Once more, the world sees that people can in fact make a difference, just as they did in repelling the prior two Color Revolutions and now this last-ditch attempt to steal the parliamentary vote away from VMRO. The Macedonian example is very educational because it’s full of instances in which regular folks organized themselves to defend against the asymmetrical regime change aggression being launched against their country. In the future, the victimized citizens of other countries can recall the example set forth for them by the Macedonians in improvising their own situationally unique solutions to defending their homelands. Looking forward, while the immediate regime change threat has dissipated, the root cause of the interlinked political crises (Zaev’s “bombs” and the post-election “re-vote”) still remains, namely that internal political and “civil society” (“NGO”) representatives are utilizing foreign assistance to promote their and their patrons’ agendas. Some voices have suggested that the government implement a thorough “cleansing”/”purge”, perhaps modeled off of what Turkish President Erdogan is carrying out right now in protecting his country from the subversive influence of the Fethullah Gulen Terrorist Organization (FETO), as they see this as the only reliable way to free Macedonia from the corrosive influence of the US and other ill-intentioned foreign actors. In principle, this could indeed prove to be an effective solution, provided of course that it’s thoughtfully implemented and doesn’t inadvertently lead to any innocent people being implicated. Given that the state has been resolutely defending itself against foreign-initiated unrest for over the past two years, it can safely be assumed that they have already pinpointed the most disruptive domestic collaborators and have gathered enough evidence to bring the relevant charges against them if they were so inclined. Nevertheless, an executive decision might be made to refrain from this sort of action, or at least to not engage in it in a publicly widespread manner. As an alternative, discrete steps might be taken to neutralize the influence of these actors short of outright firing them or pressing charges. The other post-Tearce political reality that Macedonians must now confront is the revival of Albanian nationalist inclinations. The parliamentary results surprisingly showed that a substantial number of people in this community were successfully swayed by Zaev’s promises for “federalization” (internal partition), and that they thus decided to cast their ballot in his favor instead of an ethnic Albanian politician’s like they had traditionally done up until this point. This unexpected paradigm shift almost cost VMRO the election, but as is becoming the pattern, patriotic Macedonians came out to vote in large numbers and once again saved their state from yet another foreign regime change scheme. Although it’s now confirmed beyond any shred of doubt that VMRO is the leading political party in the country, that doesn’t change the reality that there are many dissatisfied Albanian voters who had their hopes artificially inflated by Zaev for what they were led to believe would be the imminent “federalization” of the country and the de-facto establishment of “Greater Albania” on Macedonian territory. American Ambassador Jess Baily’s plan to have the SDSM “opposition” court the Albanian vote might have forever changed Macedonian domestic politics, since VMRO might now also have to make more pronounced outreaches to this demographic in order to prevent even more of them from voting for its rival in future elections and further upsetting the political balance in the country. It remains to be seen how VMRO responds to this unprecedented situation and either tries to attract more Albanians to the party and/or works with its future Albanian coalition partner to help them win back the voters that SDSM took from them this time around. Regardless of what steps are taken in this direction, it’s a sure bet that VMRO will have to do something in responding to the revival of Albanian nationalist inclinations, and that fighting for the ethnic Macedonian vote is no longer enough to confidently assure the party of nationwide victory. Likewise, the US recognizes this state of affairs and has already demonstrated its capability to influence it, seeing as how it’s responsible for this development in the first place. 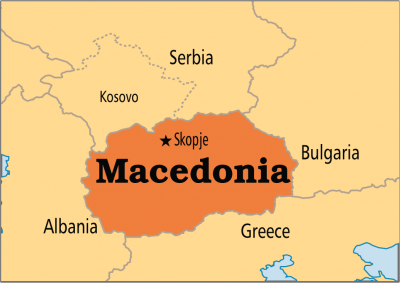 The Obama Administration has no love for the Republic of Macedonia and might even try to maliciously interfere with VMRO’s efforts to forge a governing coalition and move the country past the series of manufactured political crises that have afflicted it over the past couple of years. There’s less than a month left in Obama’s Presidency, but he might not be a “good sport” and admit defeat after having been beaten four times already (the two Color Revolutions, the parliamentary elections, and the “re-vote”). Therefore, it can’t be ruled out that he’ll try to create more trouble for Macedonia before he leaves office and thus leave his successor with an extra handful of problems to inherit, all of which are intended to impede Trump’s efforts to reach a New Détente in the New Cold War with Russia and consequently prolong this painful period of global instability that Obama’s neoconservative backers have unleashed on the world. Andrew Korybko is the American political commentator currently working for the Sputnik agency.